The company annual report season always seems to reveal porkish behaviour around the executive feeding trough, which was last reported by KC in 2009. Star porkers back then included outgoing Qantas CEO Geoff Dixon, but his replacement Alan Joyce had to get by then on a measly $3.7m. After a lean year in 2010 with only $2.9m, thanks to reduced bonuses, he has however been able to bounce back to a much more respectable $5m. 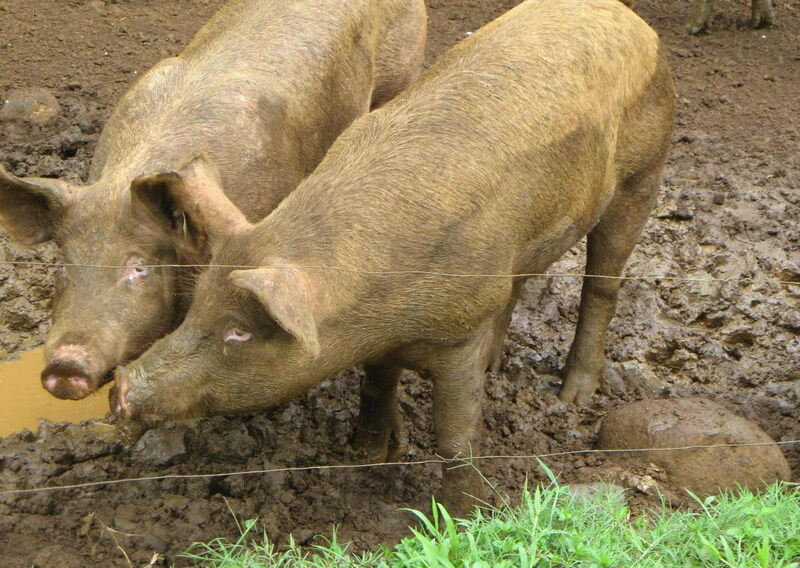 What is so admirable about these smooth porkers is their incredibly tough skin, which enables them to completely ignore the demonstration effect on fellow workers and the larger community. The heavyweight porkers in banking, shopping centres & construction are of course in a class of their own. In Qantas’s case, Joyce has been at loggerheads with unions about reducing the company’s cost base, particularly labour, by setting up more offshore businesses. As noted previously, hubris and greed seem to know no bounds. Hypocrisy should be a mortal sin too, if it’s not already. Whatever the business environment, executive salaries always find a way of galloping ahead, not trotting, as board remuneration committees practice their dark arts of structuring so-called performance hurdles, consulting with expert outsiders and benchmarking with each other. Actual comparative CEO airline salaries include ex Cathay boss Tony Tyler at $1.4m and ex Singapore Air’ C.S. Chew at $1.5m. SMH’s Scott Rochfort cheekily added the salary of president of Asia’s largest airline China Southern, Tan Wangeng, who raked in $153,000. A touch of irony too, as Qantas remuneration committee chairman James Strong’s salary was $1.48m when he was CEO. Meantime, despite healthy profits, the QF share price continues to fall and dividends are a thing of the distant past. Go figure, as they say! The final irony of the ‘New Spirit of Reward’ slogan in current QF advertising would be completely lost then too. Disclaimer: KC’s business reporter is still a QF shareholder, but God knows why. In the good ol’ days the scrip was heading north of $4, not scraping along at $1.50 or so; and Dicko was trying to flog it all off and make himself very wealthy indeed, and us respectable. Well, I always understood, that’s how it works: First you get rid of staff, save money, cash in and then put the lovely savings on your own account since you’ve been such a smart cookie, and since now the extra coins for your little bonus are aplenty … they just should be a bit more courageous and just say it as it is. talking about the “new spirit” that might come next!